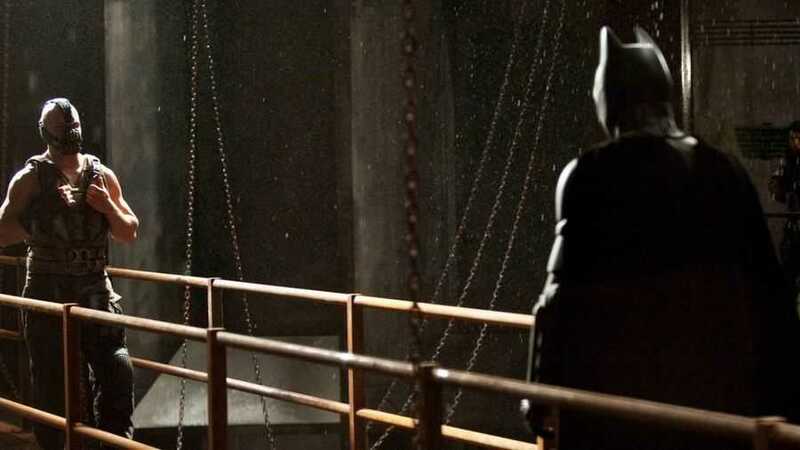 Christopher Nolan’s Batman Trilogy is a strange beast, for it is not your typical superhero film series, but much more. He has injected a very modern, much nuanced, very down-to-earth, and an all too real feel to them. They’ve taken the Batman mythos and made them such a visceral and refreshing experience that is almost surprising that this was even possible or that Nolan managed to do it. 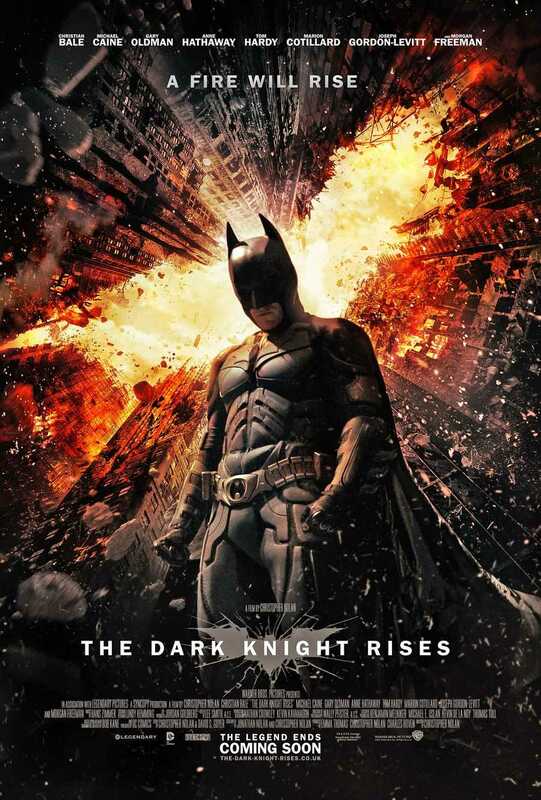 The Dark Knight Rises follows on from two highly successful films: Batman Begins, which started it all back in 2005, and The Dark Knight, which raised the stakes for superhero movie excellence in 2008. Of course, what also made the latter so damn successful was the late Heath Ledger’s excellent performance as Joker, and the inclusion of Harvey “Two-Face” Dent, played by Aaron Eckhart. The plotting was really twisty with lots of reversals for both the good guys and the bad guys the overall experience was still fantastic. Christopher Nolan consequently had to at least match that high bar he had set for himself and the promise of The Dark Knight Rises was great with all the teasers and theatrical trailers that were released in the run-up to the official movie release. The movie itself is a weird beast, more than the other two films. On one front, Christopher Nolan has tied the movie thematically to the previous two movies, in terms of the issues and concepts that he explores. On another, he tied it to the first in a much more direct way, through character relationships as they emerge through main villain, Bane, and a surprise character later on. And then, on yet another front, he went overboard with everything he tried to do, ultimately falling victim to his own success. When the movie starts, it has been several years since Batman and Bruce Wayne alike were last seen in public. The former has given up since the Joker-inspired events that terrorised Gotham and led to the death of Gotham’s greatest hero, and someone very close to Bruce Wayne. The billionaire himself has become a recluse, cutting himself off from the rest of the world, a decision that has ultimately led to Wayne Enterprises becoming bankrupt and susceptible to a hostile takeover by a rival. Enter the ruthless and brutal mercenary Bane, hired by that same rival businessman, to facilitate his takeover. Things are not as they seem however, for everybody around has his/her own plans and a web of lies is spreading through the city. On one level, I liked the performances by Michael Caine, Anne Hathaway, Joseph Gordon-Levitt, Gary Oldman and Tom Hardy. Each of them did more than the script demanded of them, injecting real emotions and feelings into their characters. Stand-outs would definitely be Anne Hathaway as Catwoman, who initially appeared to be not a good fit for the role but performed admirably, and Tom Hardy, whose performance as Bane almost rivals that of Heath Ledger’s Joker. The surprise performance was of course Hathaway, who had to step in the odd-shaped shoes left by Halle Berry in Catwoman (2004). Catwoman is an anti-hero, not a hero, not a villain, certainly not some kind of a jacked-up superhero. Nolan takes that aspect of the character and shows her as she was portrayed in Batman: The Animated Series, but making her tougher, and more of a wise-crack. I loved that side of Catwoman, a portrayal that fits Hathaway, in retrospect. There’s also the sensuality of the character that she manages to pull off without coming across as over-the-top or objectified. Perhaps a spin-off movie is in order? That’s definitely something I’d like to see. With Tom Hardy, it was a performance that I expected out of him. Previously, I’ve only seen him in Inception, also directed by Nolan. Playing Bane is a demanding role both mentally and physically. Just as with the Joker in the previous film, if you don’t know that it is Tom Hardy playing Bane, then you wouldn’t see that. It’s a literal transformation, where Hardy is totally in that character. He really deserves at least a nomination for this. Bale’s Batman I’m on the fence about. After two movies, the gravelly voice still doesn’t work for me, and the action scenes don’t seem too convincing either, as if Bale’s body is stiff and stuff. But his expressions, his mannerisms, and the attitude are something that he definitely got right. Looking at his Bruce Wayne, you can really feel that here is a man who has been brought down by events, that he is struggling to even live. The performance could of course have been better but I think expecting any more out of him is unrealistic. The script just doesn’t allow for that kind of in-depth stuff. It is a script that is focused more on the character actions rather than the characters themselves. The script…. was disappointing in the end. It certainly is not as good as The Dark Knight, and I think it is just about on par with Batman Begins. The reason is that, as I said before, it aims to do too much and just loses steam towards the end, when everything is being wrapped up frighteningly fast. The story revolves around a clean-energy nuclear reactor that Wayne Enterprises had developed but had later shutdown the project on Bruce Wayne’s discovery that it could be used as a weapon. When Bane and his men take control of it, they render it unstable, giving Gotham a life of only five months, cut-off from the rest of the world and slowly collapsing in on itself as the villains break down all social order and the city’s defenders, the Gotham Police Department, is entirely unable to do anything. I found that whole thing to be mediocre at best. The 5-month deadline is nothing more than a cliched plot device that allows the good guys to rally themselves and take on the bad guys, and for Bruce Wayne/Batman to get himself out of a pit of a predicament. I was left unsatisfied with it. It made things seem too easy and the time-jump that it necessitates to be entirely too convenient and…. useless. Not to mention there is a certain scene in the climax involving the entirety of the Gotham Police Department that is very cringe-inducing. As a friend of mine said, it makes zero tactical sense and is tantamount to the good guys getting thrown the idiot ball. Matthew Modine is totally wasted in that scene, although the lead-up involving Oldman’s Gordon alongside him is rather nice. And following on this is the ending of Bane’s arc, which induced even more cringes from me and my friends. He was built-up to be an absolute threat to Batman, the mastermind of everything that is happening, but the script fails to do any justice to him. One of the most senseless endings of a villain in any movie. There was also one very important editing gaffe in the theatrical version, two sequences switched around, which makes no sense ultimately. Leaves you wondering how the hell that got through whatever final approval checks were made on it. The impact of those two scenes is greatly lessened. Then there’s the fact that Gordon-Levitt’s Officer John Blake, later Detective Blake, was a character who got some really bad lines in the movie. He is one of the very few *sarcasm alert* characters who finds out the identity of Batman, and how the character explains that discovery was a WTF moment. I’ve never seen my friend, one of two I saw the movie with, rage so aggressively against any film. The dialogue was just… less than mediocre. I realise the effect that Nolan was going for, but it doesn’t work because it depends on a “takes one to know one” thing but it is just too abrupt. Finally, the ending. The ending painfully makes the viewer realise that this just might be the final Batman movie Nolan ever does, because it doesn’t leave much room for any direct follow-ups, only spin-off sequels. For me, that was an entirely wrong decision to take. Given apparent rumours that the studio is looking to reboot the franchise as early as late-Fall next year for an eventual Justice League tie-in, I wouldn’t be surprised if the ending was a studio decision rather than a writer decision. Ah well. Overall, The Dark Knight Rises is a decent experience but it doesn’t live up to the promise the trailers made. It falls rather short of the brilliance of The Dark Knight. In that respect, not such a good sequel at all. Posted on February 23, 2014, in Movie Reviews, Review Central and tagged Alfred Pennyworth, Anne Hathaway, Bane, Batman, Batman Trilogy, Bob Kane, Bruce Wayne, Catwoman, Christian Bale, Christopher Nolan, Commissioner Gordon, Crime, David S. Goyer, DC Comics, Film Review, Gary Oldman, Gotham, Hans Zimmer, James Gordon, Joseph Gordon-Levitt, League of Assassins, Lucius Fox, Marion Cotillard, Michael Caine, Morgan Freeman, Movie Adaptations, Ra's Al Ghul, Review, Review Central, Selina Kyle, Superheroes, Supervillains, Tom Hardy, Warner Bros. Pictures. Bookmark the permalink. Leave a comment.